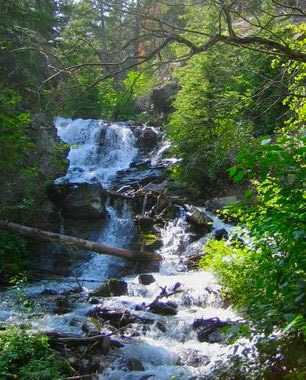 Lost Creek State Park is a narrow canyon with 1200-foot granite walls and a crystalline creek running the length. It is home to big horn sheep and mountain goats. You can fish the creek, hike up to Lost Creek Falls, do some rock hounding, and there is a campground. Directions – Hwy 1 East, thru Anaconda. Make left onto Rt. 48, then the first left, then the next left. Follow to park.